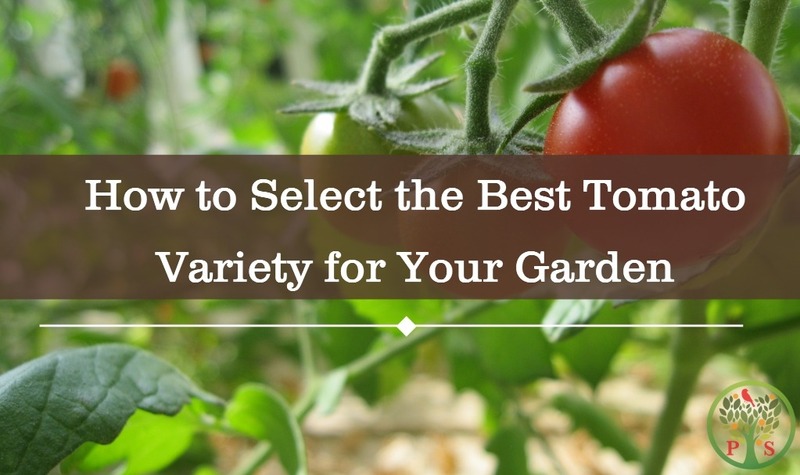 With over 10,000 varieties of tomato varieties known worldwide, it can be a daunting task of figuring out which tomato types to purchase and to grow in your garden. Home grown tomatoes provide superior flavor over supermarket varieties, and is one of the most popular garden vegetable to grow. 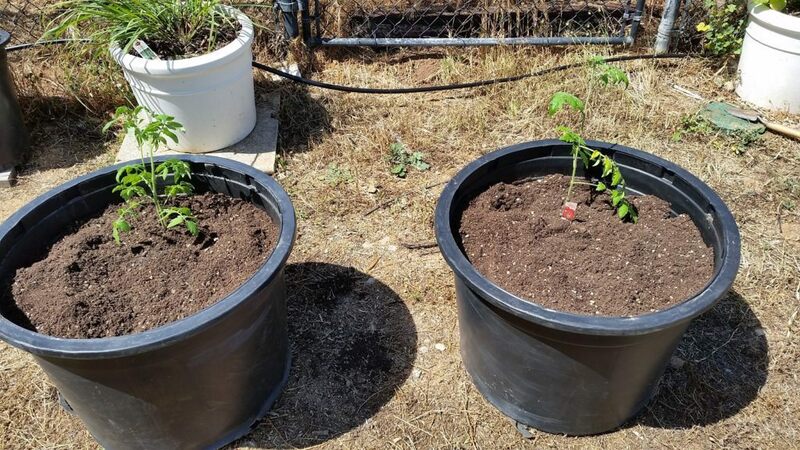 Relying on purchasing partially or fully grown containerized tomato plants, you may be stuck with whatever is available your local garden center. Many times, particularly at the big box centers, the tomato varieties available may not even be suitable to your area. Starting plants from seeds gives you the most options, but with the sheer number of choices it can be overwhelming. So the question lies, which varieties of tomatoes are best suited for you, based upon garden space and growing conditions? Let’s narrow it down to help in the selection process. The questions below will provide a guide for choosing the right variety that is suited to your situation. Question #1: Do you have enough sun and space? Tomatoes require full sun – that is a minimum of 6 hours of direct sunlight. If not, sorry to say you will have a really tough time growing tomatoes. One possibility is you don’t have sufficient sunlight in your garden is to consider planting in containers which you can put in a really sunny space instead of planting in the ground. Some tomatoes types do well in small spaces and in containers. My garden only gets about 4 hours of sun, so I put them in pots and put them out on a space in the front of the house. They need a bit more watering than if in the ground, and are not quite as vigorous, but I did get tomatoes! 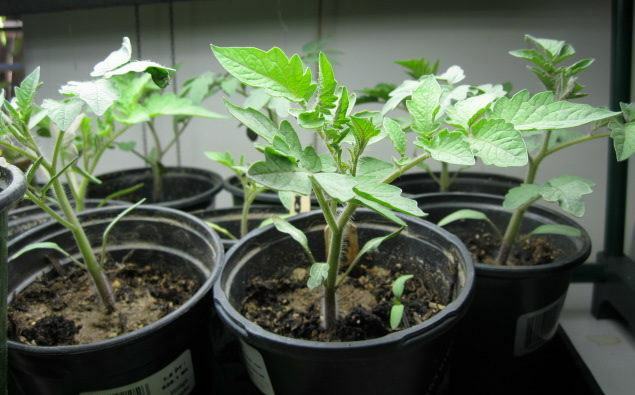 If you have really deep rooted desire to grow your own tomatoes and really have no space outside, then consider growing them under artificial grow lights inside. The cost per tomato will go up since the initial cost of the indoor growing set up can be a bit hefty, but it does solve the problem. I grew tomatoes indoors one season. I spent about $100 in lights, made a stand to string the lights for about $15 and the electric bill went up $20 a month. They were expensive tomatoes, but it was well worth the outcome! Varieties that do well in containers include ‘Juliet’, ‘Super Sweet’ and ‘Roma’ tomatoes. Varieties of tomato plants not adapted to small spaces will either out-grow their containers or not perform well due to the limited soil, so select the seed type that is adapted for small soil space. The tomato seed package may or may not give you this information, unfortunately, and you will have to dig on forums to find this out. The different forms of tomato (determinate vs indeterminate, see below for explanation) also require different spacing between the rows when planting directly into the soil. A bush style (determinate) plant needs 12 to 24 inches spacing between tomatoes whereas an indeterminate plant needs between 14 to 20 inches between plants. The tomato seed package of the variety you choose will provide guidance on plant spacing. So if you have a small garden space, pay attention to the recommended space needed and plan accordingly, since with the right variety you may be able to grow more plants per square foot with the right seed stock. Adding compost will help in the productivity too. An often forgotten consideration when it comes to space is the vertical space needed to grow. Some tomatoes get really tall, with the world record being 65 feet in stature! Typically tomatoes are characterized as either being medium sized in height – reaching between 4 and 6 feet in height, or tall sized reaching between 6-8 feet in height. The bush (determinate) style tomatoes tend to be shorter. When planting a medium- height tomato, commercially available tomato cages typically do the trick. However, when planting tall tomatoes, trellising or other support mechanism will be necessary, and sometime even a ladder to reach the upper fruit! 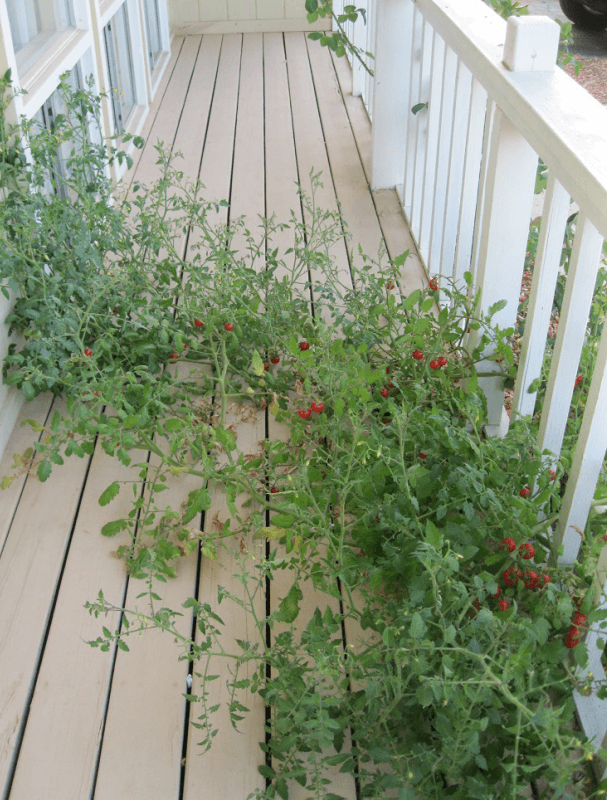 With either type of tomato, it is possible to not support the tomatoes at all and allow them to sprawl on the ground. The disadvantages of this approach is they take up a lot of space and may become fair game for competing critters, which might to get to the fruit before you do. Question #2: Do you want tomatoes all season or all at once? The plant form selected will dictate the answer to this question. Tomatoes growth physiology comes in two forms: determinate and indeterminate. Determinate tomatoes: Determinate tomato varieties produce fruit all at once and typically come in bush form. Determinate tomatoes grow to a certain height (typically between 4-6 feet) and then, the plants stop growing. All of the blossoms set fruit at about the same time, and the harvest is concentrated within a week or two. This is perfect if you want to enjoy those flavors in the middle of winter by canning and need lots of tomatoes all at once. This type also common in commercial varieties. Many say that determinate tomatoes are not as flavorful, since the majority of them are bred for commercial use and have tough skins for machine harvesting and hard flesh to survive shipping and storage. One of the favorite tasting yellow tomato that is determinate is the ‘taxi’ variety. 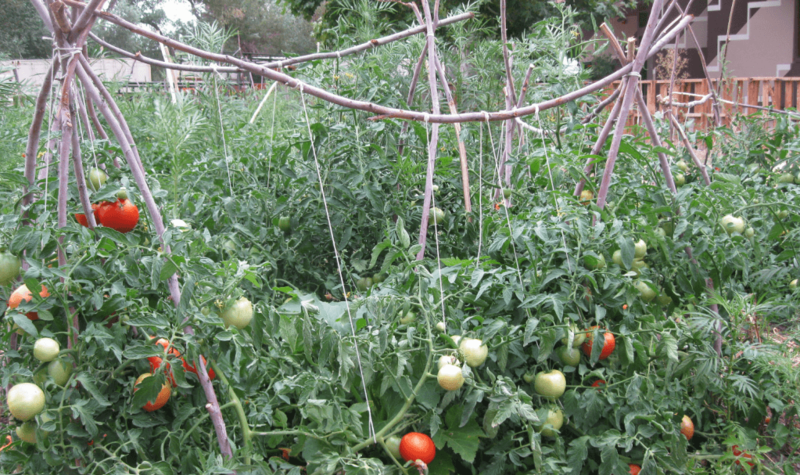 Indeterminate tomatoes: Indeterminate tomatoes keep growing, resulting in plants that can exceed 5 feet in height. The biggest benefit is that they keep producing all season. As the blossoms on the lower part of plants set fruit, new flowers farther up on the plant start to bloom. So with this plant form you don’t end up with 20 bushels that your family cannot consume at once, and you enjoy them as soon as they start maturing! Many of the heirloom tomatoes are indeterminate and are known for the exceptional flavor. 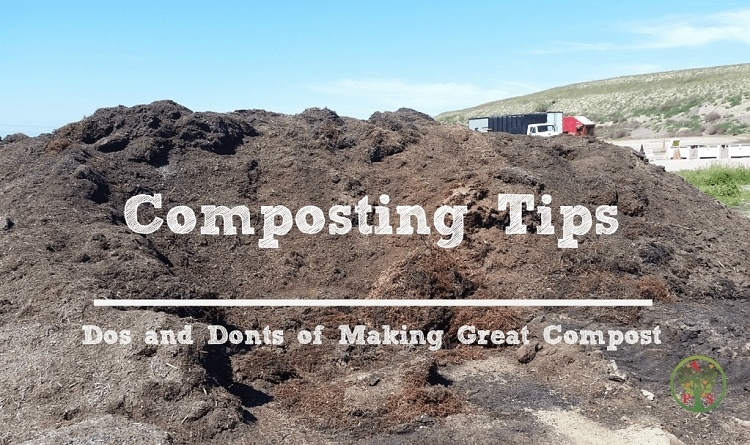 Learning the basics of composting, and add compost to your tomatoes early season will help keep root diseases at bay and allow for slow release of nutrients to your plants. Question #3: What do you want to use the tomatoes for? Tomatoes come in different sizes, and have different flavor profiles, textures, juice contents. Tomato seeds fall into three categories: hybrid, open pollinated and heirloom tomatoes. If you are looking for the best flavor, then open pollinated and heirloom are they type to choose. The seed distributor usually posts this information on their webpage or on the seed package directly. Hybrid Varieties: Hybrid tomatoes have been cross pollinated either in a laboratory or sometime accidentally in the field to create a desired trait. The typical commercially available tomato is a hybrid. Due to the hybridization, the genes become unstable and thus if you save the seeds and replanted them they would not have the same characteristics of the original plant. The second generation is also typically less vigorous. Thus most hybrid seeds are purchased new each year, and are not saved. The advantage of hybrid tomatoes is if tomato-borne diseases are particularly rampant in your area these are bred to be resistant to some of those diseases. The packaging will be labelled with what disease they are resistant to. The disadvantages are they are not as flavorful and you have to purchase new seeds each year. Heirloom and Open Pollinated Varieties: The terms “Heirloom” and “Open Pollinated” are sometimes used interchangeably. An heirloom variety is open-pollinated, however not all open-pollinated plants are heirlooms. The difference being that the true heirloom variety has not been modified or cross bred with any other variety of tomato and thus are the same as they were 50 to 100 years ago. An open pollinated variety may naturally have crossed with other tomatoes if planted near each other, and thus may not be the exact same tomato as the previous generation or from generations past. If you want to have fruit that is identical to the fruit you are seeding, you need to do so from an open-pollinated or heirloom tomato. Heirloom and open pollinated seeds can be saved. These types of tomatoes are known for their better flavors, but may be more susceptible to diseases. Adding compost to the soil or containerized plant early season may help fight off these diseases. Tomatoes can range from tiny bite sized morsels to whopper sized, weighing well over 1 pound each. Most of our commercial hybrids are red in color, our heirloom tomatoes, however can provide us a rainbow of options from pink, red, orange, yellow, green, and purple/black. Currant tomato: The current tomato is not common and are quite hard to find. The tiny red currant tomato is actually a difference species than most of the other tomatoes that we grow (Lycospericon pimpinfolium) and is native to the West coasts of Peru and Ecuador. This flavor-packed tomato bears pea-sized fruit and are sweet and juicy, but tend to be tough-skinned. You can purchase currant tomato seeds from companies known for their heirloom seeds such as Seed Savers Exchange. Cherry/Grape tomato: Cherry and grape shaped tomatoes are a big favorite among gardeners and are known for their sweetness and prolific fruit production. They are either round or oblong shaped and are bite sized, usually smaller than a golf ball. Medium – Plum and Oxheart tomato: Fruit that usually is less than 1 pound in weight but larger than a cherry or grape variety are classified as medium sized. They can be round, cylindrical in shape (plum) or in the case of several heirlooms, heart shaped. Beefsteak: Beefsteak are the largest of the fruit and usually exceed one pound or more in weight. Different sized tomatoes have different textures and juice contents, thus are used for different purposes. Salads/Eating: Cherry, grape and current tomatoes are best for eating right off the vine since they are so sweet, and for salads. Paste/Sauce: Plum tomatoes are thick-walled, and have fewer seed compartments and are best known for tomato sauces and pastes. 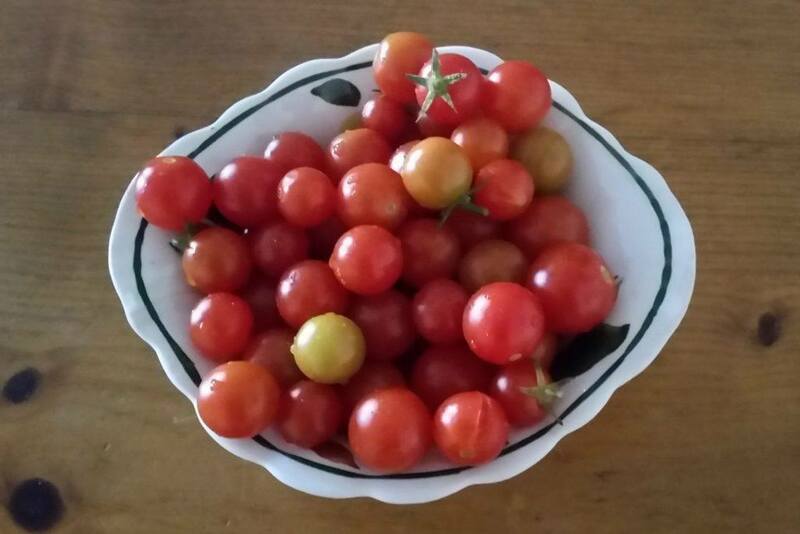 ‘Roma’ and ‘San Marzano’ varieties bear exceptional flavor for plum tomatoes. Slicing: The large beefsteak tomatoes are popular seed varieties for making sandwiches. The beefsteak tomatoes will probably need to be grown from seed, since commercially production is difficult due to their tendency to crack when they receive excess water. Canning: More than a flavor, tomatoes for canning are typically determinate forms, since they bear fruit all at once. The ‘Juliet’ and ‘Amish Paste’ varieties are known for their exceptional flavor as good canners. Sweet: The currant, cherry and grape tomatoes are known for their exceptional sweetness. Maybe that is why sometimes they never even make it in the house! Tangy: Some heirloom varieties, particularly the green tomatoes, are known for their tanginess. Think tomatillos, but only in tomatoes. The ‘Green Zebra’ heirloom tomato has exceptional tanginess. Mild: While most tomatoes may fall into this category, it does not negate that amazing tomato-liscous flavor that home grown varieties give us. 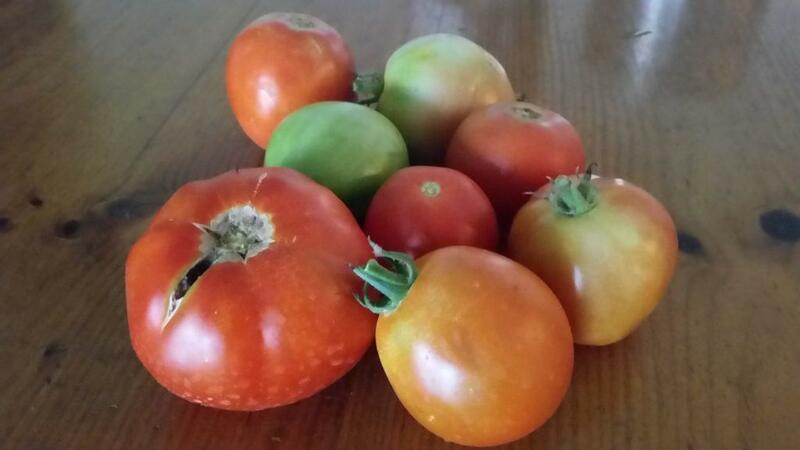 Forget the bland store bought Romas and embrace your back yard garden harvests! 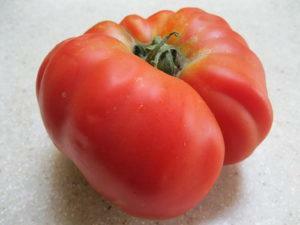 Rich: Our beefsteak and black tomato varieties are often described as ‘rich’ in flavor. You have to bite into one to understand the depth of flavor profile of a black or beefsteak variety. Yum! Question #4: Do you want to be eating your tomatoes early in the season, in the summer, or in the early fall? The number of days to harvest will dictate when you get your ripe tomatoes. 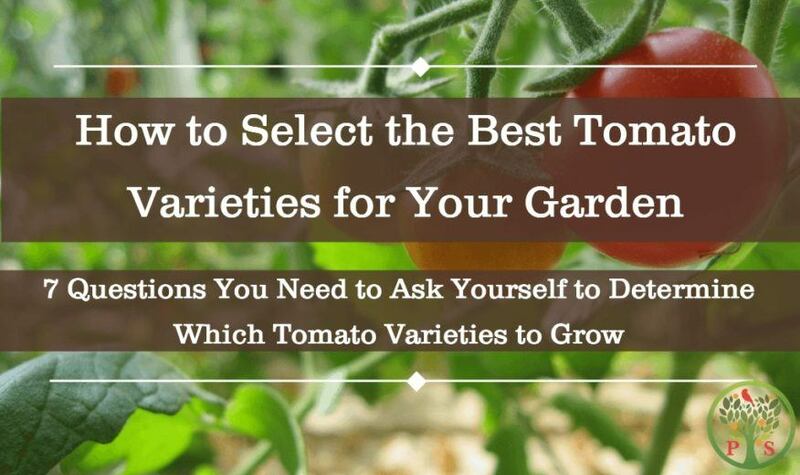 If you want all three then select a tomato varieties that have different days to harvest/maturity. The tomato seed package label typically identifies the number of days to maturity or days to harvest. It is simply the number of days from transplanting the seedlings in the garden until the tomatoes are ready to be picked. Early producers: Early producer tomato varieties will give you tomatoes early in the season. There is often a race to see who has the earliest ripe tomato. If started inside or a cold frame, early producers can get you your first delicious bite by late May to early June! Early producers have Days to Harvest (DTH) usually less than 70 days. The heirloom variety ‘Stupice’ identifies the DTH as being only 50 days, making it one of the fastest producing heirloom tomato seed available. A hybrid variety named Early Girl also produces mature fruit in about 50 days. Most early producers have DTH ranging between 60 and 70 days. Summer Harvest: Mid-season tomato varieties include many delicious heirloom as well as hybrid varieties. Days to maturity ranges from 70 to 80 days. The popular hybrid ‘Better Boy’ and ‘Big Beef’ beefsteak tomatoes fall in this class and have high ranks in terms of flavor. Popular open pollinated and heirloom varieties that have mid-season harvest include ‘Cherokee purple’, ‘Dr. Wyche’s Yellow’, and ‘Black Krim’. These three are winners in terms of fantastic flavors. Late harvest: Late harvest tomato varieties are classified as Days to Maturity exceeding 80 days. Yes, you have to wait forever to get these delicious morsels, but it can offer you fruit well into the fall. Late harvest varieties are often picked green right before a plant-killing frost and are matured slowly indoors. If you pick a ‘Beefsteak’ or ‘Brandywine’ it’ll be worth the wait. Question #5: Can you keep up with the harvest? Some tomato varieties provide a strong, prolific yield that is sometimes hard to keep up with. Determinate tomatoes produce all at once so if you are not prepared to do something with them, best keep the number of determinate plants you grow to a minimum. Some indeterminate plants are known for their prolific yield, also making it sometimes difficult to eat all that you grow. If you run into that case you will find ready and willing recipients of those tasty morsels with family, friends and neighbors. The cherry and grape varieties such as the ‘Super Sweet 100’ and ‘Sun Gold’ are known for their prolific yield. Question #6: What is the climate where you live? Tomatoes love moderate to warm conditions. One of the chief complaints of tomato growers is that the climate is not right. The season is either too short, climate too cold, or the climate is too hot, and thus problems arise. Luckily out of the 10,000 varieties available, there are plenty that are either cold-adapted or hot-adapted seeds that can be purchased. If you live in a cool, damp climate like in the Pacific Northwest, then choose a variety that can handle the cool weather. The ‘Early Girl’, ‘Stupice’ and ‘San Francisco Fog’ are three cold-adapted varieties that do fine in the Pacific Northwest. Alternatively tomatoes don’t like it too hot. If you live in an area that gets really warm, then choose a variety that can handle the heat. Cherry tomatoes and those that have dense foliage do well under intense heat. Try ‘Super Sweet 100’ cherry or the heirloom ‘Brandywine’ if you in a smokin’ hot climate. Question #7: Is there a lot of tomato disease known in your area? Some regions are susceptible to tomato diseases. Check with your local agricultural extension agency if you don’t know. Unfortunately the best tasting tomatoes are often those that are least resistant to diseases. Heirloom or open pollinated tomatoes provide superior flavor but may not be as adapted to poor soil conditions that cause diseases as the hybrid varieties that have been engineered to defend against disease. The choice is usually flavor vs disease resistance. However, do not be dismayed there are very viable solutions if you have a lot of disease in your soil but don’t want to grow a hybrid. The first choice is to learn how to graft tomatoes. You can grow from seed a disease resistant variety and the type of tomato you really want to eat – and graft the base (stem to roots) of the hybrid onto the top of the desired variety. Some seed catalogues such as the Territorial Seed Company offer containerized plants already grafted. With a few inexpensive grafting tools, however you can do it yourself and select the type of tomato that you want to grow and be disease resistant! When it comes to disease, the big elephant in the room is that is comes down to how you manage your soils. If you are using synthetic fertilizer, you are more likely to have tomato killing disease, since these salt-based nutrient inputs actually kill the beneficial microbes that can defend your plant against the disease. Learning how to compost will help combat soil borne diseases. Consider substituting the crystalized pelleted forms of fertilizer that is frankly bad for your plant to a more sustainable, slow release nutrient input such as high quality compost. You will have better tasting fruit and healthier soils as a result. If damping off disease is a problem for you, the truth is you really have a water problem that causes the disease. If you overwater a container or have soils that don’t drain properly (such as heavy clays), you can lose the oxygen in the soil and under these anaerobic conditions the microbes that cause damping off and eventually kills your plant thrive. Disease can be managed as long as you know what causes that disease to flourish. So adjust your watering schedule, let the soil dry out before you water again. Tomatoes actually prefer the wet-dry cycle over a continuous wetted environment. Once you have thumbed through the thousands of seed choices on the market, asking yourself these 7 questions then it’s time to decide what has the best taste that fits your needs. Seed companies provide some of this information, others do not. 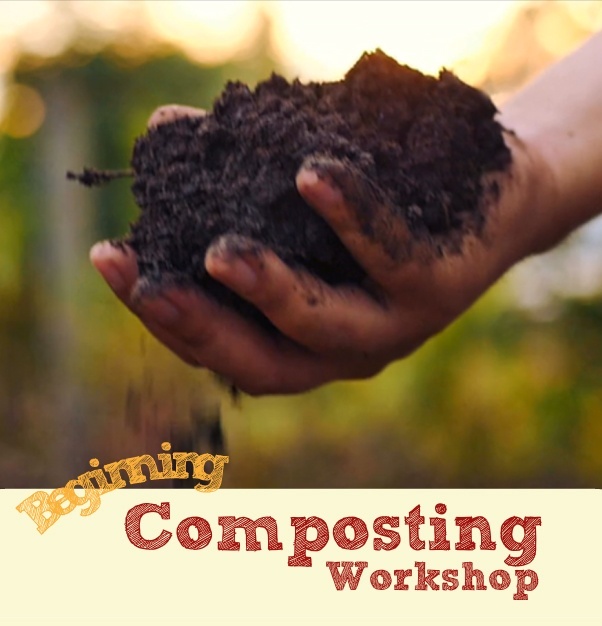 Learn composting 101 basics to solve disease problems.